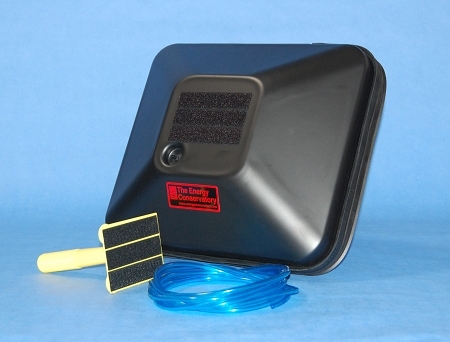 The pressure pan is a duct leakage diagnostic tool which is used along with the Blower Door and digital pressure gauge to identify exterior air leakage in duct systems. This technique involves placing a gasketed pressure pan over each register or grille with the air handler fan off and the Blower Door depressurizing the house to a standard reference pressure. A measurement of the pressure between a duct run and the room where the duct register or grille is located provides a quick and reliable indication of whether significant exterior duct leaks exist in that section of the duct system. The pattern of pressure pan readings allows for quick identification of major leakage sites, and can be used as feedback on duct sealing activities. Because the pressure pan does not usually require taping off of registers and grilles, it is an extremely quick diagnostic procedure.